Greg Selkoe, born on the 4th of June, 1975, is an American entrepreneur and writer who became famous for founding the company Karmaloop.com. So how much is Selkoe’s net worth? As of early 2017, based on authoritative sources it is reported to be $10 million acquired from his years of business and other endeavours. Born in Boston, Massachusetts, Selkoe grew up in the Jamaica Plain neighbourhood. During his early years he attended a boarding school in Winchendon, Massachusetts known as The Winchendon School and later on got an undergraduate degree from Rollins College. He also earned his master’s degree at The Kennedy School of Government at Harvard University where he finished a Masters in Public Policy. Selkoe’s career started when he worked for the City of Boston as an urban planner at the Boston Redevelopment Authority. During his time in the city hall, he worked on planning and development of projects all over Boston, worked with various groups like the private developers and other neighbourhood groups. He spent three years in this career until his love for music and fashion led him to a different career. In 2000, Selkoe began developing Karmaloop in his parents’ basement. His vision for the company was to provide an online shopping experience for the “Verge Culture” that consists of 18 to 34 year olds. Karmaloop became a one-stop shop of various urban style and streetwar brand and other rare items not easily find in regular malls. Soon, Karmaloop gained popularity and it increased his net worth tremendously. After a few years, in 2005 Selkoe decided to open a physical store of Karmaloop at Newburry Street in Boston. The store became their testing ground for various products and also became the place for some of their limited edition items. Although the store received success having been opened for almost six years, Selkoe decided to close the shop as it was not making enough money. 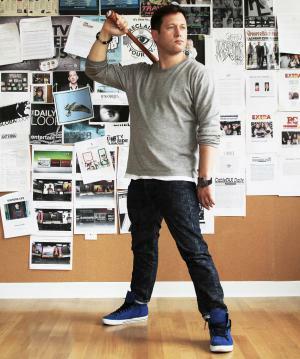 Despite the setbacks, Selkoe moved forward and created various branches of Karmaloop. The online presence of Karmaloop.com extended to MissKL.com dedicated to women’s fashion, PLDR.com focusing on flash sales, BrickHarbor for skateboard-related items, Kazbah.com, and KarmaloopTV.com. The various extensions of the website also helped in the company and his personal net worth. In 2015, Selkoe experienced tough times when his company Karmaloop filed for Chapter 11 bankruptcy. This led him to seek for financial help from other vendors to keep the company going. Comvest Capital and CapX partners purchased the company and Selkoe moved from being the chief executive officer to an adviser. The following year, Shiekh Shoes bought the company. Aside from Karmaloop, Selkoe also succeeded as an individual. In 2009, he became part of the country’s most influential entrepreneurs under 35, and was awarded the Ernst & Youn Entrepreneur of the Year in 2012. He also founded the Future Boston Alliance in 2011, a group that aims to improve the lives of people in Boston by focusing on the city’s culture and local talent. In terms of his personal life, Selkoe is married to Dina Selkoe, Creative Director at Karmaloop. The couple lives in Boston, Massachusetts.